Here's a look at some of the best-dressed stars on the red carpet at the 2019 Oscars. 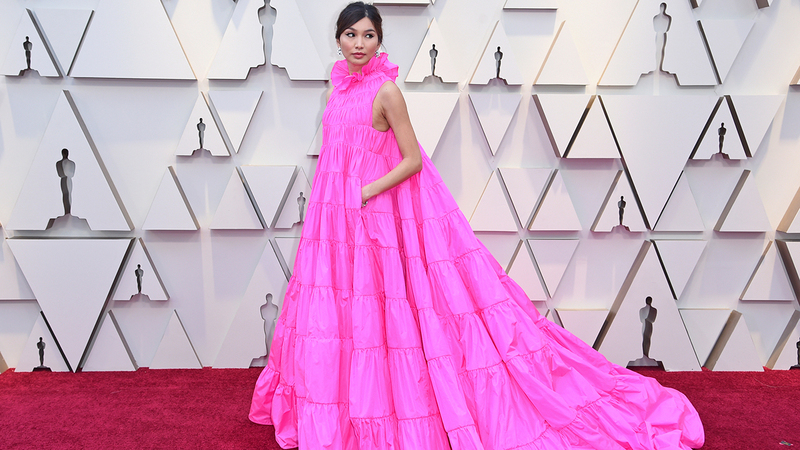 HOLLYWOOD, LOS ANGELES -- Here is a list of the best red carpet looks for the 2019 Oscars, according to fashion expert and model Roshumba Williams. More like Oscars 'Metallic' Carpet! Did you catch sparkle and glam? Who was your favorite look of the night? The most fun dresses were worn by Kacey Musgraves, Gemma Chan and Sarah Paulson. Sarah Paulson arrives at the Oscars on Sunday, Feb. 24, 2019, at the Dolby Theatre in Los Angeles. 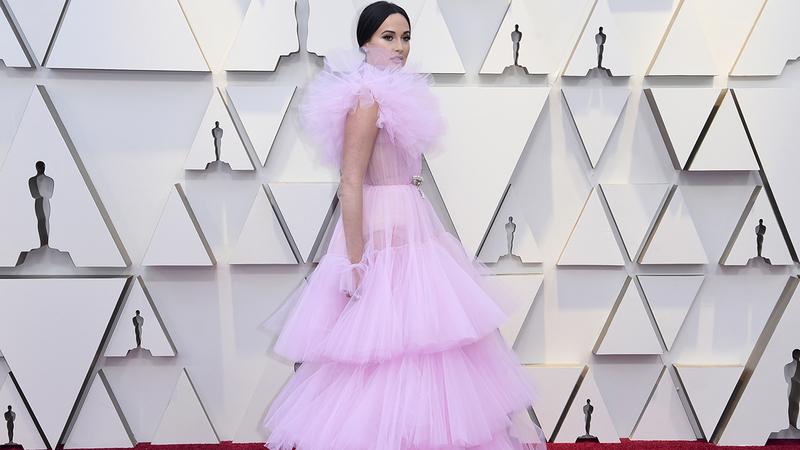 Kacey Musgraves arrives at the Oscars on Sunday, Feb. 24, 2019, at the Dolby Theatre in Los Angeles. 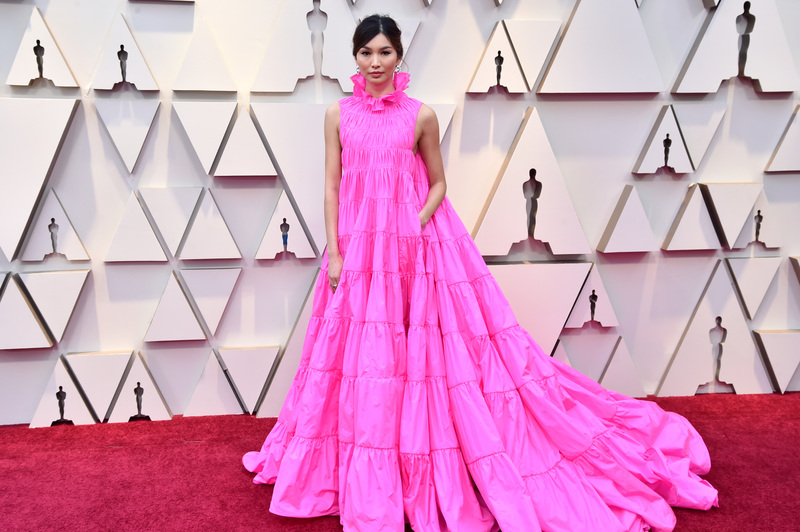 Gemma Chan arrives at the Oscars on Sunday, Feb. 24, 2019, at the Dolby Theatre in Los Angeles. Those with the best bardot neckline were Michelle Yeoh, Constance Wu and Octavia Spencer. 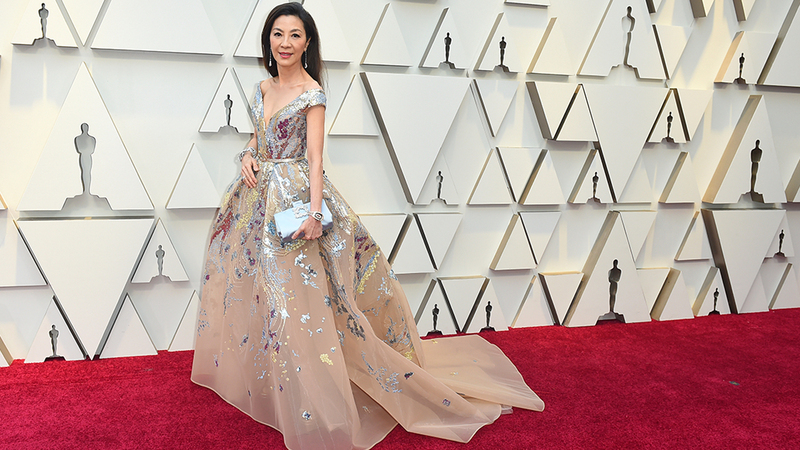 Michelle Yeoh arrives at the Oscars on Sunday, Feb. 24, 2019, at the Dolby Theatre in Los Angeles. 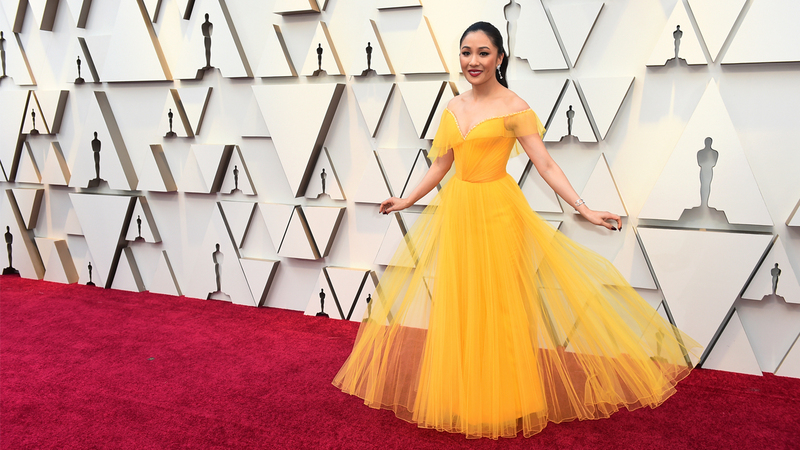 Constance Wu arrives at the Oscars on Sunday, Feb. 24, 2019, at the Dolby Theatre in Los Angeles. 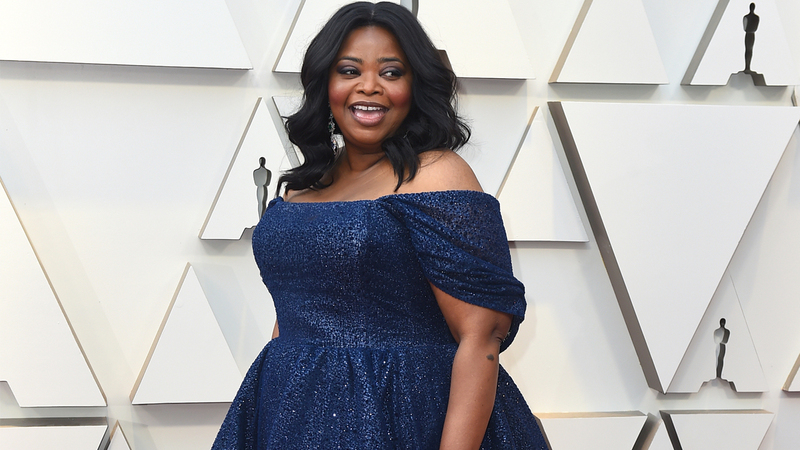 Octavia Spencer arrives at the Oscars on Sunday, Feb. 24, 2019, at the Dolby Theatre in Los Angeles. 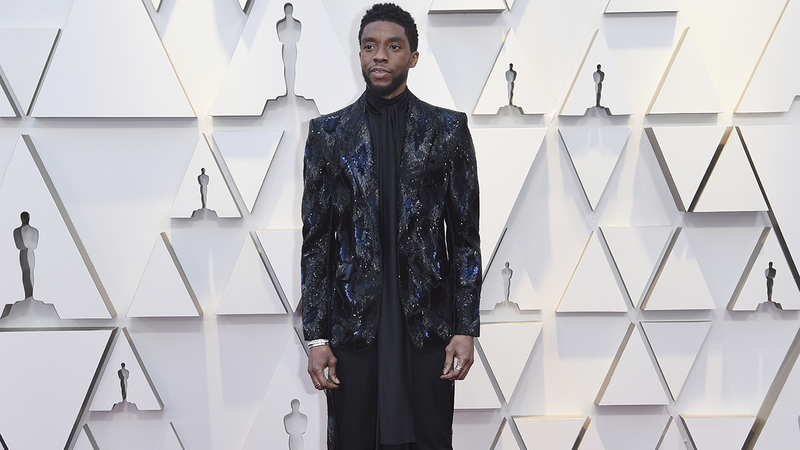 The best dressed men of the night were Chadwick Boseman, Jason Momoa and Henry Golding. 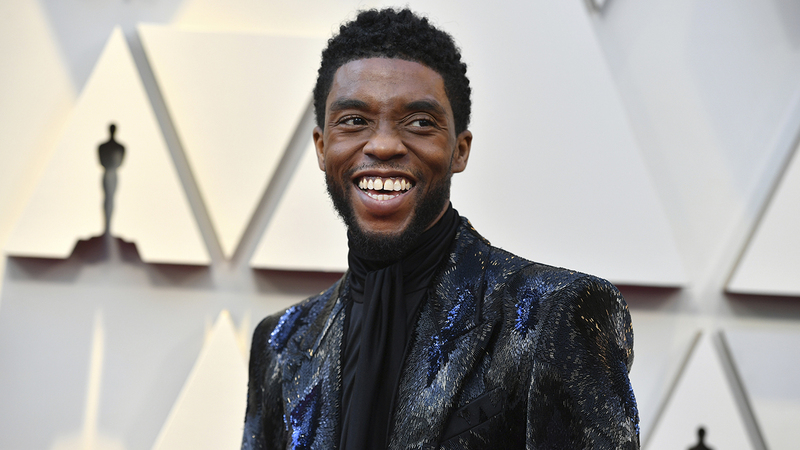 Chadwick Boseman arrives at the Oscars on Sunday, Feb. 24, 2019, at the Dolby Theatre in Los Angeles. 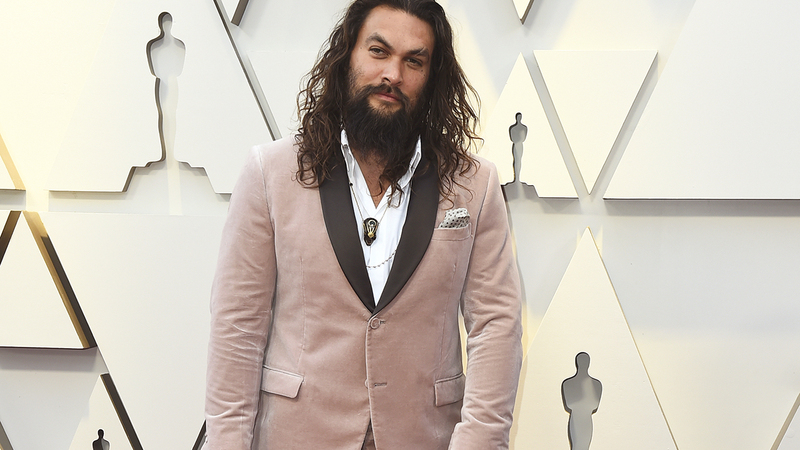 Jason Momoa arrives at the Oscars on Sunday, Feb. 24, 2019, at the Dolby Theatre in Los Angeles. 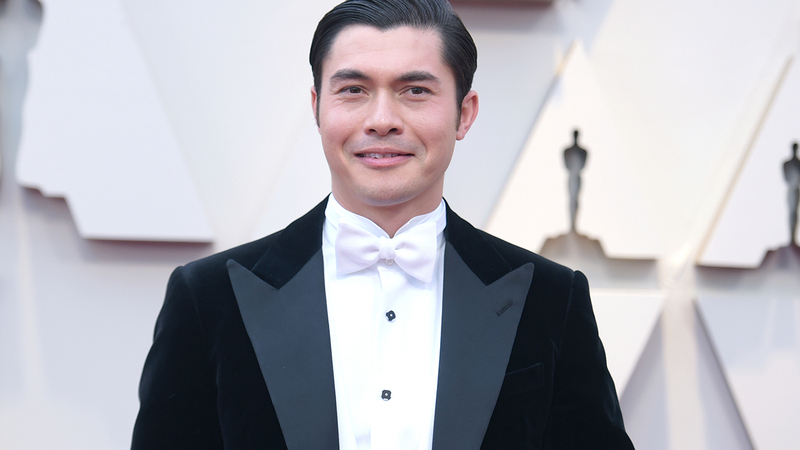 Henry Golding arrives at the Oscars on Sunday, Feb. 24, 2019, at the Dolby Theatre in Los Angeles. The shining stars with the best shimmery looks were Glenn Close, Jennifer Lopez and Brie Larson. 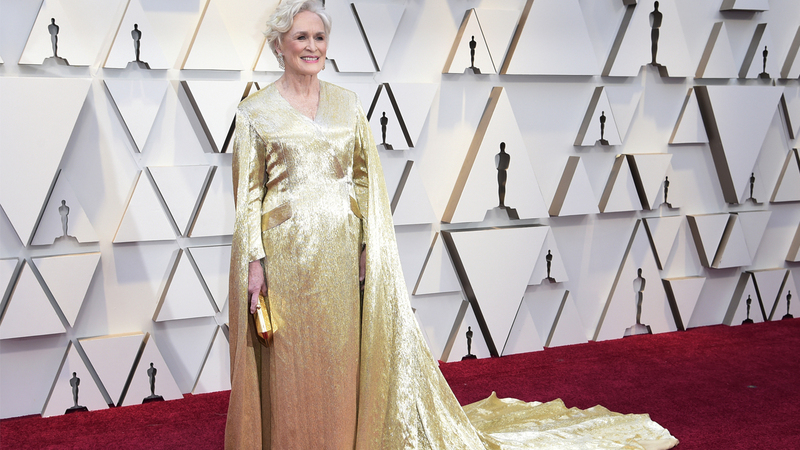 Glenn Close arrives at the Oscars on Sunday, Feb. 24, 2019, at the Dolby Theatre in Los Angeles. 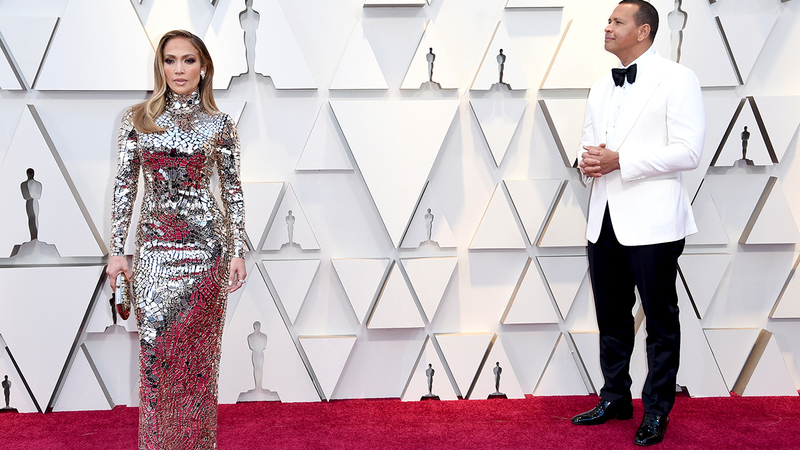 Jennifer Lopez, left, and Alex Rodriguez arrive at the Oscars on Sunday, Feb. 24, 2019, at the Dolby Theatre in Los Angeles. Brie Larson arrives at the Oscars on Sunday, Feb. 24, 2019, at the Dolby Theatre in Los Angeles. The glamorous actresses with the best old Hollywood looks were Lady Gaga, Regina King and Charlize Theron. 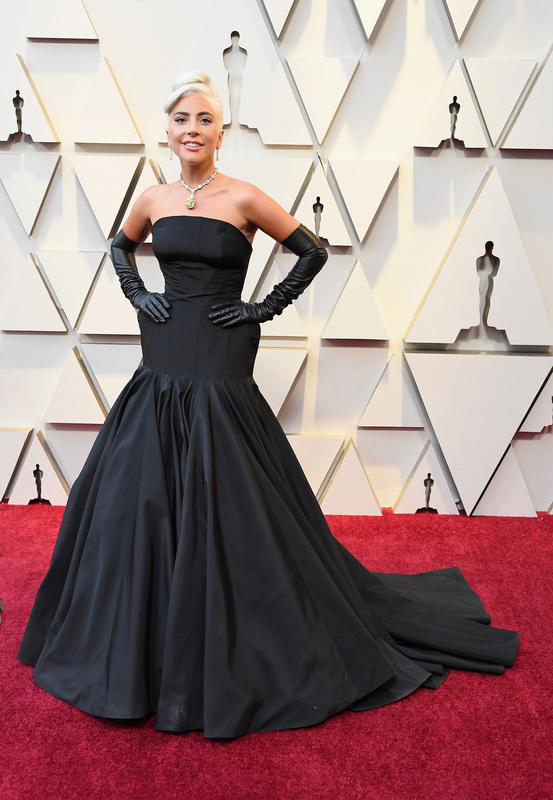 Lady Gaga attends the 91st Annual Academy Awards at Hollywood and Highland on February 24, 2019 in Hollywood, California. Regina King attends the 91st Annual Academy Awards at Hollywood and Highland on February 24, 2019 in Hollywood, California. Charlize Theron attends the 91st Annual Academy Awards at Hollywood and Highland on February 24, 2019 in Hollywood, California. The ultimate best looks of the night were Regina King, Gemma Chan and Chadwick Boseman. 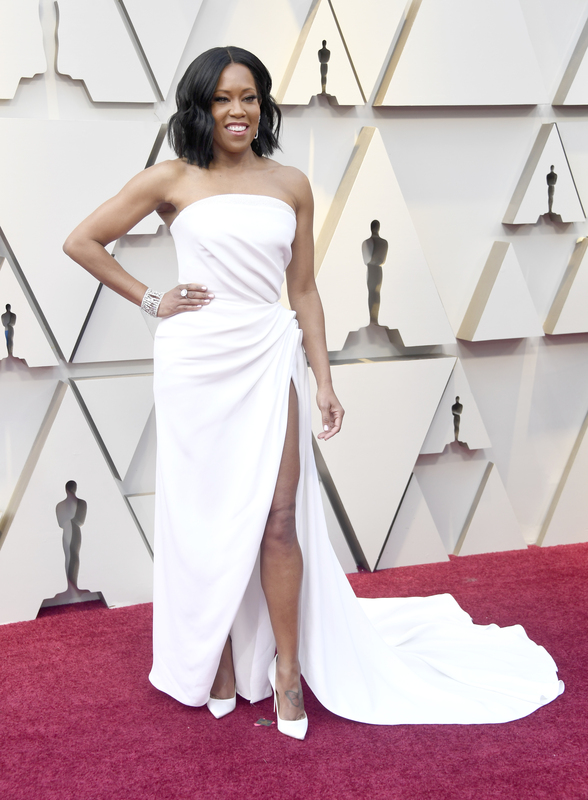 Regina King arrives at the Oscars on Sunday, Feb. 24, 2019, at the Dolby Theatre in Los Angeles. Gemma Chan attends the 91st Annual Academy Awards at Hollywood and Highland on February 24, 2019 in Hollywood, California.